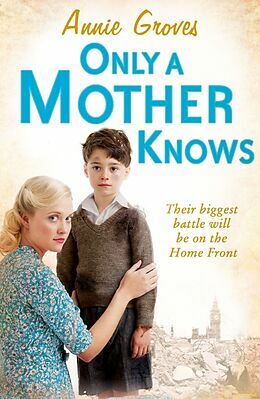 A compelling novel about four young women in wartime London, from the best-selling author of London Belles and My Sweet Valentine. Annie Groves has always lived in the North-West of England. She is the author of Ellie Pride, Connie's Courage and Hettie of Hope Street, novels for which she drew on her own family's history. Her most recent novels, Some Sunny Day, As Time Goes By and Across the Mersey, are based on wartime recollections from members of her family who come from Liverpool. Annie Groves also writes under the name Penny Jordan, a bestselling author of over 170 novels with sales of over 84 million copies. The searing story of four young women who have witnessed the heartache and pain that Hitler's bombs have inflicted on ordinary Londoners and are now about to be tested even further as they face relationship difficulties, terrible news and some unwelcome gossip. Groves is the author of many successful sagas including "Connie's Courage", "Some Sunny Day" and over 170 bestselling novels under the name of Penny Jordan.